Imagine a pre-meal pill that can reverse Type 2 diabetes, with no lasting side effects. It sounds like the ramblings of a far-out futurist. But study results released this week suggest it may be possible. In the journal Nature Materials, a team of surgeons and material scientists from Boston's Brigham and Women's Hospital unveiled a compound that can be taken as a pill, and then forms a temporary intestinal coating. This blocks nutrients like glucose — the sweet carb responsible for blood sugar spikes — from contacting the gut. One hour after giving the treatment to lab rats, the rodents' glucose levels had dropped an impressive 47 percent, the paper reports. A few hours later, their blood sugars were back to normal. And while the study was not a clinical trial, the absence of side effects like diarrhea or constipation was also encouraging. Dubbed “surgery in a pill” by the Harvard-affiliated researchers, the “transient and reversible” barrier mimics the dramatic anti-diabetic effects of bariatric surgery used to treat obesity — without the risk of surgical complications. Only 1 to 2 percent of Americans who qualify for gastric bypass surgery actually opt for it, says Tavakkoli, even though the procedure is more effective at treating Type 2 diabetes than current medicines, and can actually put the condition into remission. For those averse to surgery or who would be at high risk of complications, this treatment may one day be a “wonderful alternative,” he says. 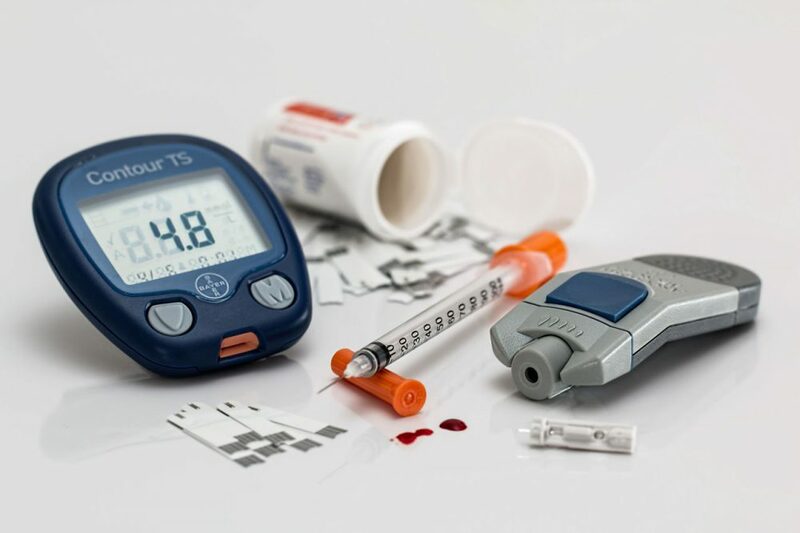 The Centers for Disease Control and Prevention estimates that nearly 1 in 10 Americans — over 30 million people — are living with diabetes, and 90 to 95 percent of them have the Type 2 variety targeted by this therapy. Taken before a meal, the drug, called LuCI (Luminal Coating of the Intestine), makes its way to the stomach and is transformed into a sticky, paste-like coating. The thin coating completely covers the upper intestine and “prevents food contact with the bowel lining,” says Tavakkoli. The part of the intestine coated corresponds to the area typically bypassed in gastric bypass surgeries. The coating, which is not absorbed by the body, eventually passes. As to why this coating (and weight-loss surgeries) can dramatically improve diabetes, there is significant debate among bariatric surgeons and researchers. Some still subscribe to the long-held dogma that loss of weight or fat following surgery is the key to remission. However, evidence now suggests the key may lie in the bowel itself. “There [have] been theories going back decades … that there is something in the [upper intestine] that is secreted that promotes diabetes,” says Dr. David Lautz, a bariatric surgeon and director of Emerson Hospital’s Center for Weight Loss, who was not affiliated with the study. “By bypassing the upper small intestine,” he says, surgery may sidestep this diabetes-promoting molecule.